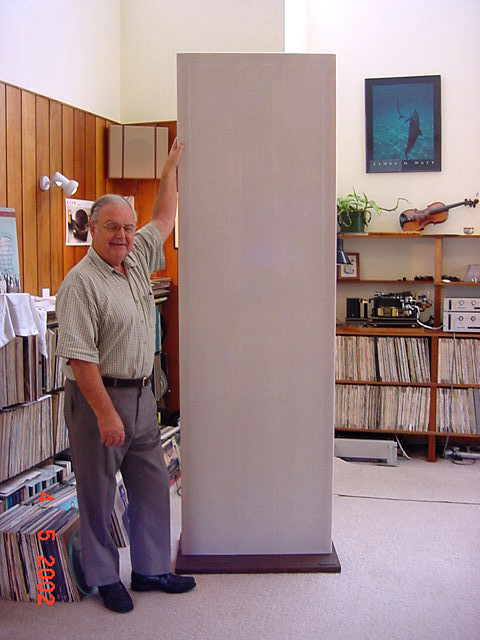 The Aura was the conception of Dave Whittaker, a New Zealander, who built Auras in Auckland, NZ and also in Brisbane, Australia, from around 1984 until 2006, when Dave died at the tender age of 73. I’m not the world’s leading expert on Auras but I have gathered some information over the years. I am happy to share knowledge on…set-up, maintenance, etc. 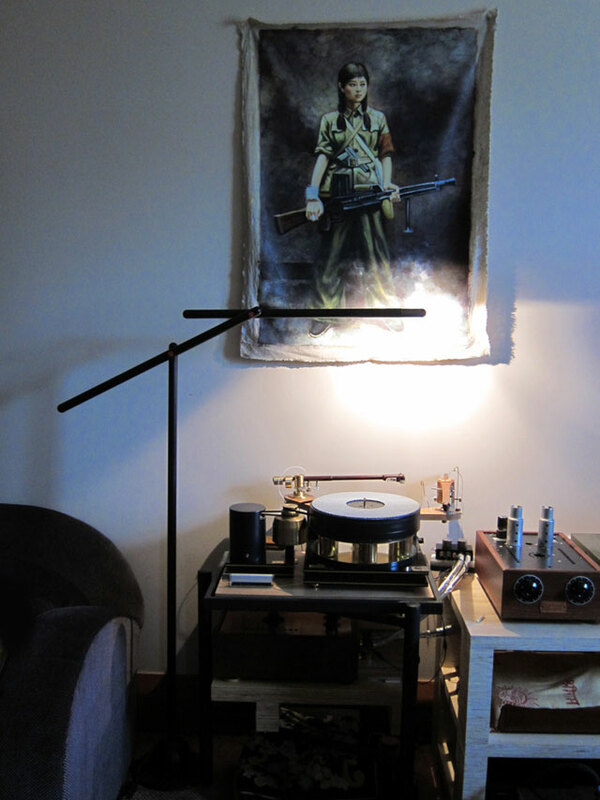 My own Aura with Apparition tonearm. Floor lamp is Mira by Mario Arnaboldi. I’d be pleased to hear from any Aura users out there. Or, just interested to know where they all are? 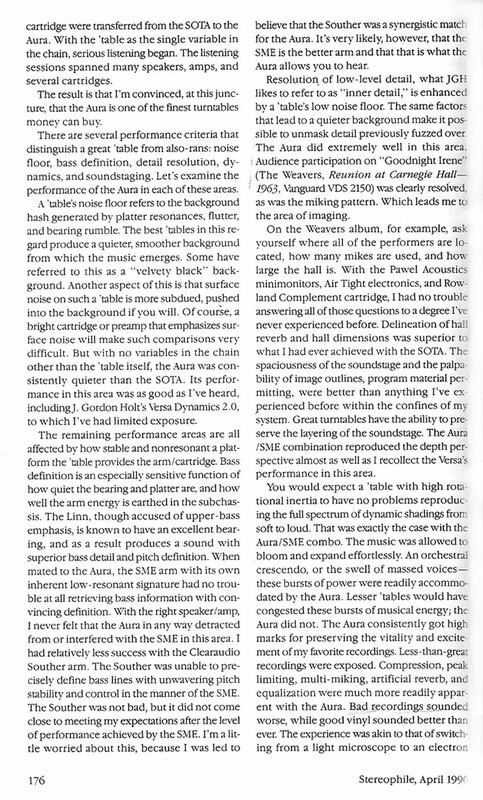 I was fortunate to acquire an Aura from Dave in 1999…and as I recall, part of my payment was an Audio Research D70 Mk2 tube amplifier! An experimental version of the Aura with twin motors and flywheel. 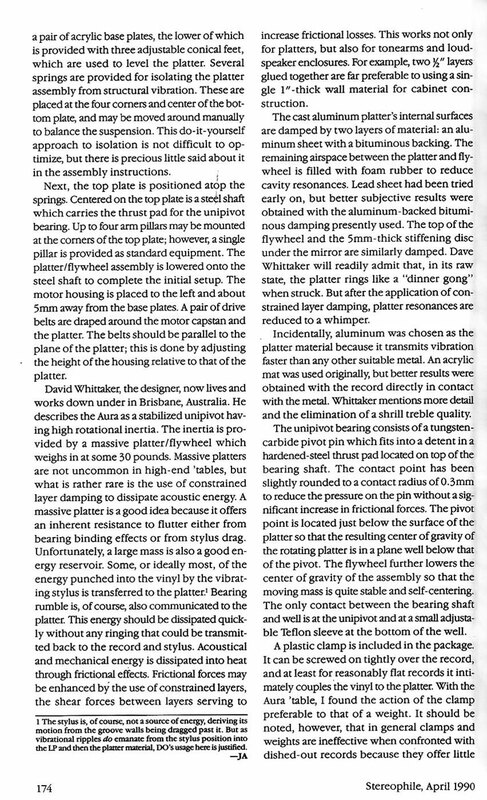 The additional flywheel mass increased Rotational Inertia and the flywheel can be geared to spin at 6 to 8 times faster than the platter, thus increasing Angular Momentum of the flywheel-platter combination by around 50%. 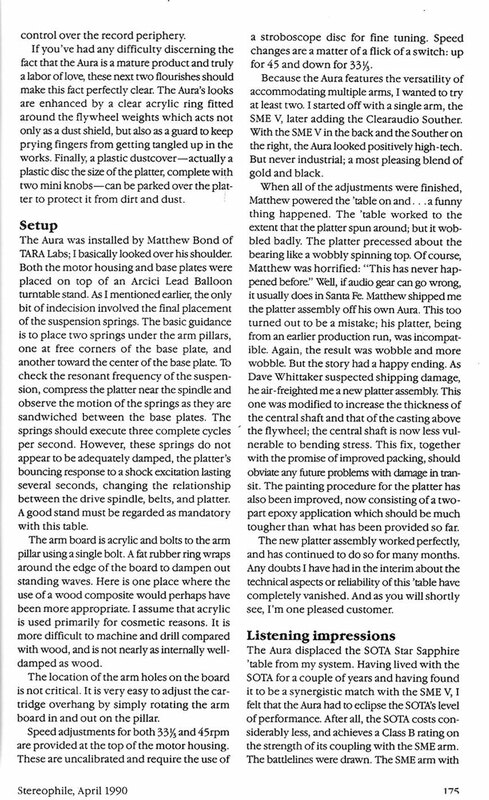 Note that by this time, Dave was supplying twin, round polyurethane belts (from Pyramid Inc. USA) to drive the platter. A flat rubber belt was still used to help provide isolation between motor and flywheel. In order to harness the benefits of the Flywheel, you must use a non-stretch belt. The best I have tried is mylar tape (eg. 6mm magnetic recording tape). Dave made such tape belts using a tape-splicer & ‘superglue’. 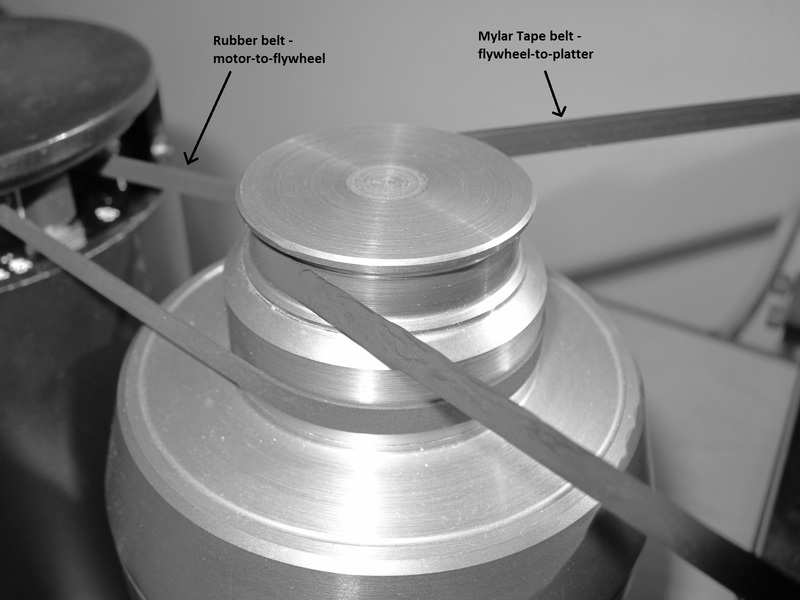 The Flywheel’s Rotational Kinetic Energy is then coupled to the platter’s. On the other hand, the Motor is decoupled from the the Flywheel with a rubber drive-belt. The result is much more punchy bass, ‘drive’ and ‘leading edges’, pitch stability, weight and clarity throughout. 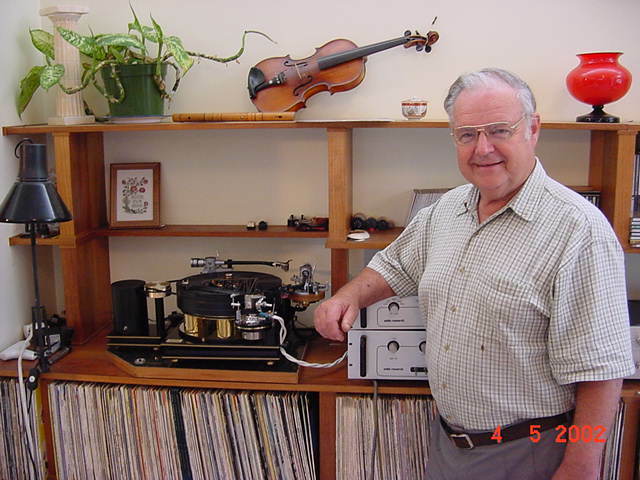 This entry was posted in Turntables, Vinyl Record Playing and tagged aura turntable, dave whittaker, turntable. Bookmark the permalink. 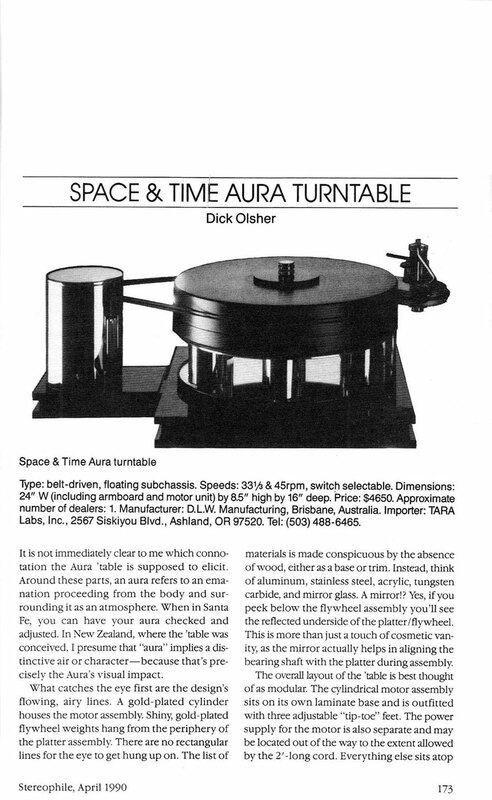 Hi just read your article in the aura turntable. 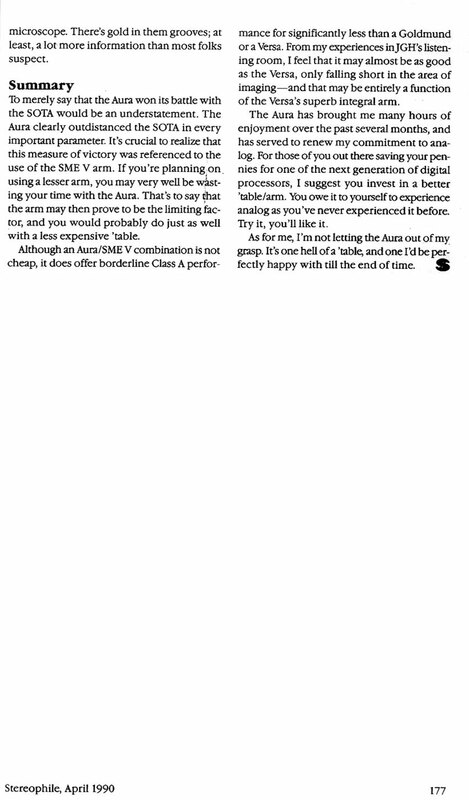 I worked with dave, while he developed the table, and we would discuss, the way it was made, and designed, 1 have one of the first to be made, its different in quite a few ways, I have a friend in America, who has one of the originals, his balance table is chromed, mine is gold plated like yours. Mine has been it storage for 10 years, and are now putting it back together, will send a pic when finished, looking for an sme arm, to finish. Hi Bryan – thanks for the comments. Did you work with Dave in Auckland or in Oz? Dave worked originally in Insurance, as I recall. Yes I recall MSS, from some of Dave’s early AURA documentation. Keep in touch about your AURA, hopefully running again soon! Hi Owen, Really like your site. 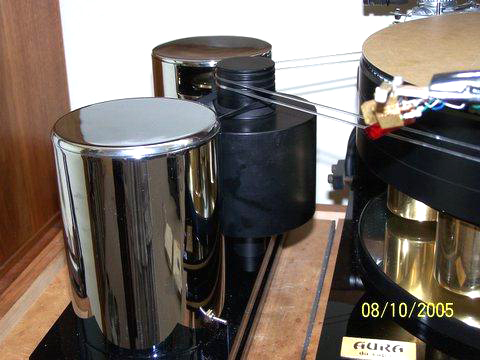 I am looking at maybe buying one of my Dads AURA turntables but would love to have a chat with you about it. Are you able to email me your number so I can get in touch? Are you still in the Auckland region? Hi Bernard – thanks, nice to hear from you! We can chat and/or I can give you further contact details. I live in Akld & I will have an Aura for sale soon, actually.